It was my stepmother's scarf. 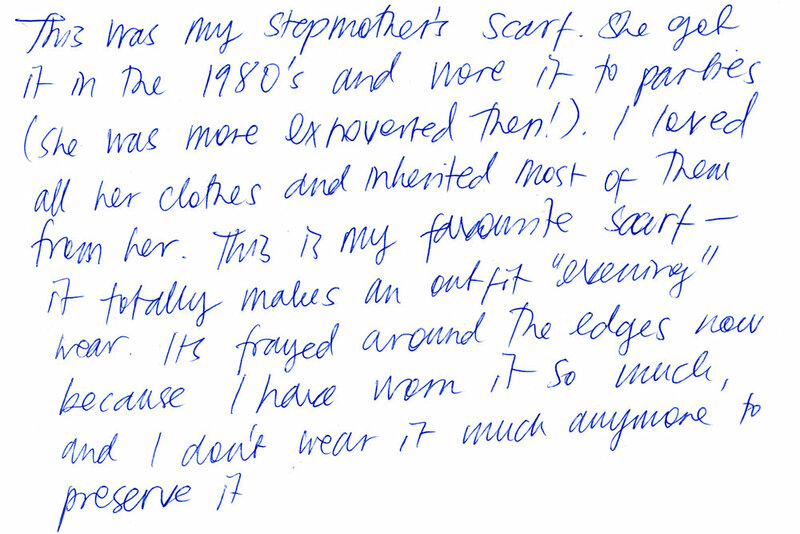 She got it in the 1980's and wore it to parties (She was more extroverted then!) I loved all her clothes and inherited most of them from her.It's frayed around the edges because I have worn it so much and I don't wear it much any more to preserve it.